LCL Plumbing & Drainage are a honest, reliable, family run organisation dedicated to providing the best plumbing solutions on time and on budget. Call us today on 1300 553 173 ! 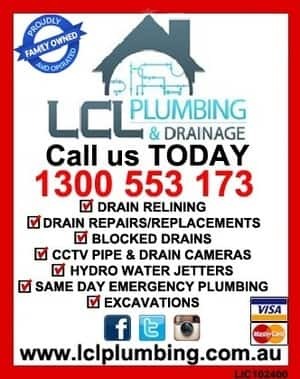 LCL Plumbing and Drainage services all of Melbourne. We provide domestic, commercial and industrial plumbing solutions. Like us on Facebook to find special deals posted! CALL at any time on 1300 553 173 to request a quote! 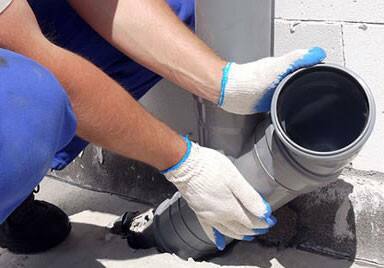 LCL Plumbing and Drainage deal with the highest quality products and latest technology to save you time and money! We service all brands of plumbing materials. LCL plumbing rescued my family from the overflow of shower water into the hallway. They cleared a blocked pipe, clearly explained the issue as it was happening and dealt with a curious 8-year-old and 4 month old puppy. They were extremely good value on their price to clear the blockage and their quote to fix the job was reasonable (given the 4 metre depth). I would thoroughly recommend these people for any drainage or plumbing needs. They charge you for the work required. They are reliable and professional. 5/5 highly recommend. Very professional and friendly. I have nothing but wonderful things to say about LCL Plumbing. Jacob and Ben (Plumbing Technicians) and Liam (Operation Manager) were the utmost in professionalism, expertise and execution. They are absolute Legends. Allison in the Office was super helpful, nice and kind. 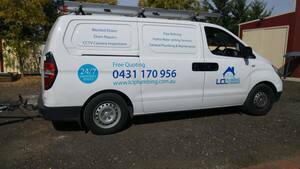 I am an existing loyal customer of LCL Plumbing company for the last few years and every time I had a plumbing issue, either Jacob or Ben came out on very short notice to fix our plumbing issues straight away. They were very professional, friendly and courteous and provided excellent service. Thank you for being such a loyal customer to LCL Plumbing and for your honest/ positive review. LCL Plumbing and Drainage enjoy hearing feedback and pride themselves on their customer service and providing a quality service at an affordable price, will be sure to pass on your positive feedback to our hardworking plumbers as well as our fantastic office staff. We are glad to have provided a satisfactory job for you and we look forward to supplying our services to you in the future.